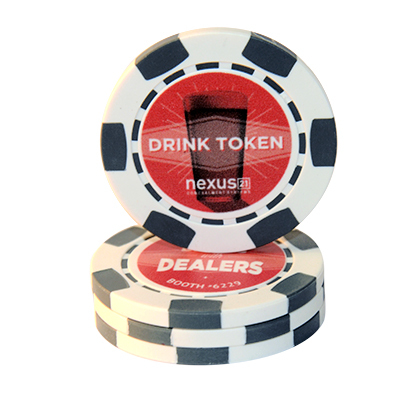 Make a lasting impression by using custom drink poker chips that are unique and creative. 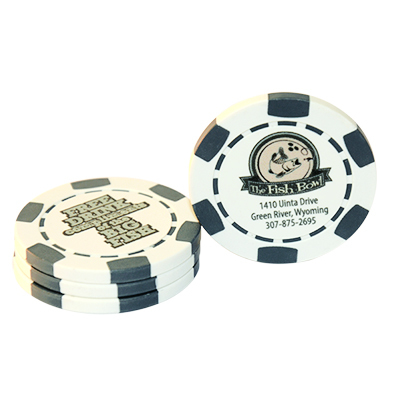 Your business logo or special event graphics can be printed on the poker chips and used over and over. It's an easy and affordable way to create an item that is customized for your clientele. You can easily and quickly design a personalized poker chip for distribution to your customers. 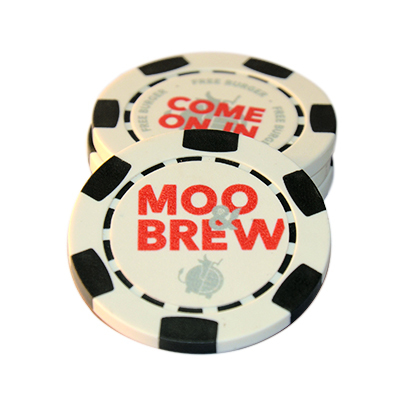 We've helped hundreds of businesses increase sales buy using custom poker chips as an innovative marketing tool. Offer free beers, well drinks, premium drinks; whatever kinds of drink chip your establishment needs. We have graphic designers available to make sure your finished product reflects the quality of your business and service. These custom made chips are easy to create and hard to forget! For more information, click on a product below, call us at 888-508-1148 or email sales@custompokerchipcompany.com.